The Takasaki International Relations Society works with people from around the world to create a peaceful and fair society by providing opportunities for people of different languages, cultures and customs to come together, exchange information and knowledge, and better understand one another. 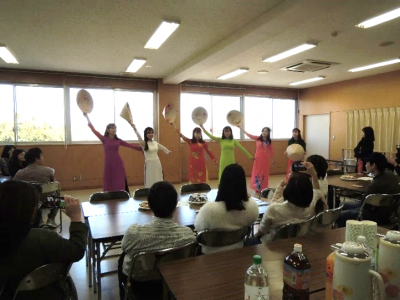 On Sunday 24th February 2019, 57 participants from Vietnam and Japan came to Shinmachi Community Center to enjoy a cultural exchange including Vietnamese dancing, powdered green tea experience, Pho and sushi rolls, and quizzes and other activities. On Sunday 17th February 2019, 28 members of the Junior International Club and their families came to hear School Nutritionist Emi Fukasawa talk about her work in Kiribati. Fukasawa also demonstrated how to cook her version of ‘oyaki’ using the leaves of a daikon radish. Everyone enjoyed the taste very much! 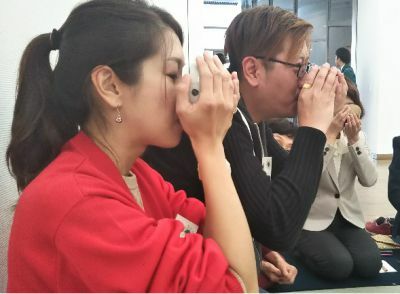 On Sunday 11th November 2018, 7 participants from America, Canada, Malaysia, and Romania participated in the Takasaki Tea Ceremony at the City Gallery and were able to experience three schools of tea including powdered green tea, and tea served using a traditional tea pot. 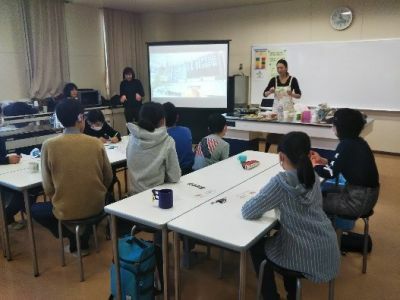 A Spanish class for beginners was held every Thursday at the Chuo Kominkan from October to December 2018. 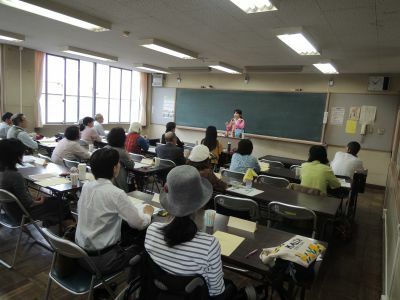 It was attended by 20 students, and taught by Multicultural Instructor and former JICA worker in Paraguay, Ms. Kimiko Yamada. Students learnt basic words and phrases, and how to pronounce the Spanish alphabet. Copyright © 2015 Takasaki International Relations Society All Rights Reserved.